Dansby Swanson is a professional baseball player currently with the Atlanta Braves of Major League Baseball (MLB) as a shortstop. He went professional in 2015 after the Arizona Diamondbacks selected him first overall in the 2015 Major League Baseball draft before selling him off to the Braves in the 2015/2016 offseason. Asides the excellent skills he shows off on the field, there is something else this amazing American baseball player shows off on the field – and that is his hair. Let’s take a peep into the world of this young player, his bio, career, stats, hair, trade, age, girlfriend, and height. Dansby was born February 11, 1994, in Kennesaw, Georgia as James Dansby Swanson. He is the youngest of three children born to his parents – Cooter and Nancy Swanson. His two older siblings are Lindsey (sister) and Chase (brother). He is an alumnus of Marietta High School and Vanderbilt University, Nashville, Tennesse. 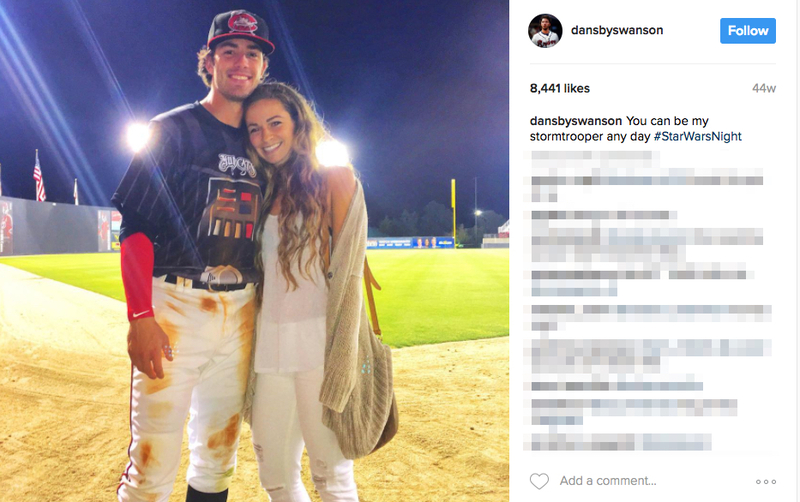 Dansby Swanson literally grew up on the field as both his parents are athletes including his older siblings. His mom played tennis and basketball in college, his dad and older brother were both college baseball players, while his older sister Lindsey played softball. Haven grown up in a family where everyone was into ball, it was easy for Dansby to just follow suit. As a child, he was a big fan of major professional sports teams in Atlanta, including MLB’s Braves, NFL’s Falcons, and NBA’s Hawks. While in High School, he played both basketball and baseball. In 2012, he was drafted in the 38th round of the 2012 Major League Baseball Draft by the Colorado Rockies but he refused to sign the deal and went instead to Vanderbilt University where he played in the baseball team. As a freshman, he was only able to play in eleven games due to a broken bone injury in his foot and a torn labrum in his non-throwing shoulder. In 2014, as a sophomore, he was named All-Southeastern Conference and also College World Series Most Outstanding Player after he led the team to a win against the Virginia Cavaliers in the 2014 College World Series. In 2015, he became a recipient of the 2015 Golden Spikes Award – an award that is presented annually to the nation’s top college baseball player. That same year, Swanson became the Arizona Diamondbacks’ first overall selection for the 2015 Major League Baseball Draft. 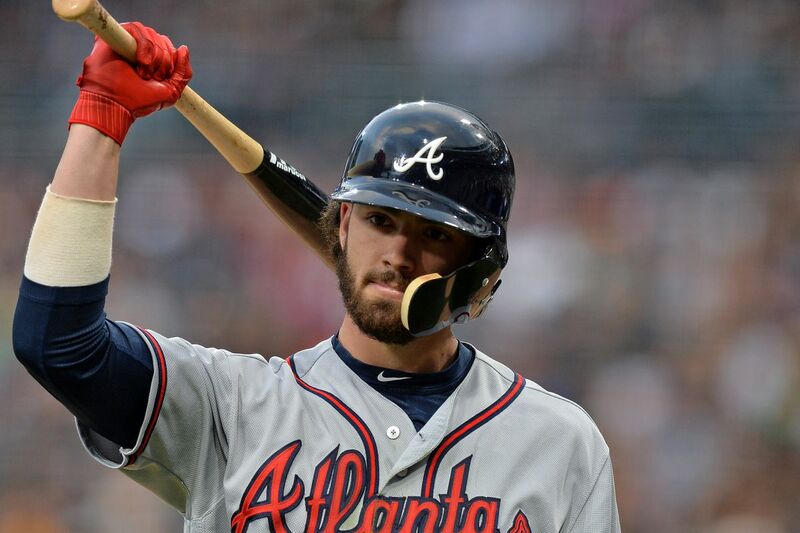 Due to a face injury, he sustained while playing against Yoan López in a simulated game, Dansby Swanson’s professional debut had to wait till August 2015, when played in the match against the Hillsboro Hops of the Class A-Short Season Northwest League. He played a total of 22 games that season finishing with a .289 batting average, one home run, fourteen walks, and eleven RBIs. Barely three months after his debut appearance with the Arizona Diamondbacks, Swanson with two other teammates – Aaron Blair and Ender Inciarte were traded to Atlanta Braves for Gabe Speier and Shelby Miller. He was sent off to Spring training at Carolina Mudcats, at the end of the training he recorded .333/.441/.526 hits in 21 appearances and was promoted to the Mississippi Braves of the Class AA Southern League. By June 2016, Dansby was named to appear in the All-Star Futures Game, and after playing in the Southern League All-Star Game for about a month, the Braves announced that he would then be moved to the major leagues and was assigned jersey #2. That same month (August), he made his debut appearance and recorded his first major league hit off of Minnesota Twins pitcher Kyle Gibson. At the end of the league, he recorded the following: a .302 batting average, .361 on-base percentage and a .803 on-base plus slugging percentage. Before the 2017 season began, Dansby announced he would again be wearing his college jersey #7 and no longer the jersey #2 previously assigned to him. 2017 season wasn’t one of Swanson’s best seasons, as he struggled all through May to record a .185 batting average, he improved the next month (June) and soon backed up Johan Camargo. By July, he was sent off to Gwinnett Braves where he was expected to play every day but he was soon recalled following an injury Camargo sustained. However, in May 2018, Swanson was placed on the 10-day disabled list due to a left wrist strain. Dansby stands at 1.85 m (6’0 in), weighing 77kg. The handsome player has one of the most amazing hair texture and many believe his hair has brought him more attention than his career has, Dansby however, disagrees with that notion. On how he cares for his hair, Dansby says he just washes it a couple of times a week and applies Argan Moroccan Oil. Dansby Swanson is currently in a relationship with a girl named Kara Sheft. Kara is also a Vanderbilt graduate and the couple met at Vanderbilt where they both attended and soon began dating. The lovebirds are seen at virtually every occasion together. Sheft is said to be currently studying to be Doctor of Physical Therapy at Belmont University. Before dating Kara, Dansby was previously linked with a young advertiser named Katy Huffman, they were reportedly together for two years before calling it quits.